Paul Robinson has admitted he has long been concerned about the small squad Leeds United have this season. 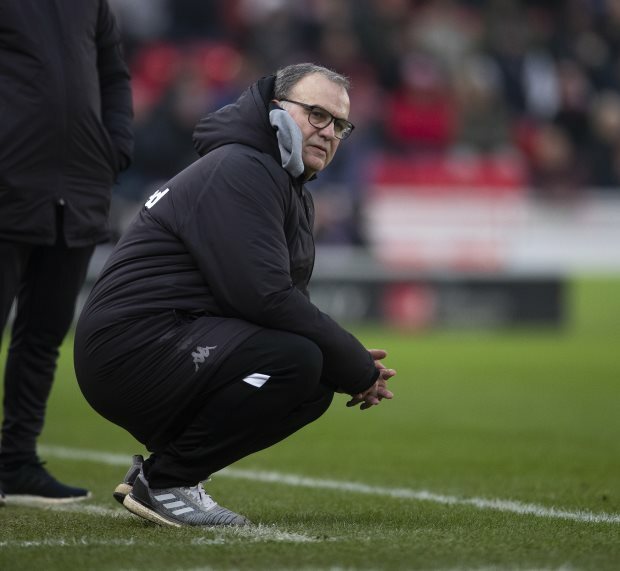 Leeds head coach Marcelo Bielsa has chosen to keep the first team group small, looking to dip into the club's Under-23 ranks if needed. The Argentine only added goalkeeper Kiko Casilla in the January transfer window, despite calls from fans to push the boat out to make sure Leeds can get over the line and win promotion to the Premier League. Leeds have lost five of their last seven games and have struggled with injuries to key players in recent months. And for Robinson, the small squad has long been a concern. He said on beIN SPORTS Keys & Gray Show: "What's worried me since the start of the season is how small the squad is. "He's said he wants to work with a small squad and there's been a lot on [Kemar] Roofe to score the goals, and whether teams have worked out how to play against them is another thing. "But with 30 games gone they are still up there. "They are in a great position now to kick on and make sure they stay there." Leeds are only off the top of the Championship table, behind Norwich City, on goal difference and boast a three-point lead over third placed Sheffield United. While the Whites are gunning for automatic promotion, they do hold a ten-point lead over seventh placed Derby County, suggesting that they are in a strong position to finish in the top six even if further points are dropped.